Kirsten’s journey into yoga began much as many people’s, she thinks — with an asana class at the local YMCA during the late 1990s. This particular class took place immediately after a high-intensity step class, and the studio was not only smelly but freezing cold. And while she only attended a few of these classes, there was an immediate draw to … something. A few years later she found a more traditional yoga studio and her first long-term teacher, Marlene Linkhart. Marlene’s area of expertise was in restorative yoga; her teacher was Judith Hanson Lasater, whose book Relax and Renew would become a big part of Kirsten’s studies along with Marlene’s guidance. Marlene and restorative yoga found her at a time in her life when she was overwhelmed by chronic depression, panic and anxiety, and debilitating obsessive compulsive disorder. These classes, and the home practice she would develop, certainly would not solve her issues, but they would become a tool in management, and a way for her to look more closely at herself. Kirsten began taking classes taught by Jessica Patterson in the mid-2000s, and after completing an intensive Yoga of Nutrition workshop with her, knew that she wanted to learn more from this amazing woman. During the 2012-13 winter season, she participated in, and graduated from, the six-month, 230-hour RootEd Yoga Teacher Training and Apprenticeship program. It was life-changing. Mark Whitwell, Manorama, Michele Lawrence, Judith Hanson Lasater, Matthew Sanford, Becca Roodhuyzen, Jenny Finn and David Abookire. When she entered RootEd, Kirsten had no intention of teaching in any formal format. She has learned, very clearly, that you should never say never. Jessica honored her by naming her as a 2013-14 RootEd Mentor, and she is now a 200-hour RYT (Registered Yoga Teacher through the Yoga Alliance) and Heart of Yoga teacher under Mark Whitwell. In February 2015, she completed her Relax and Renew Trainer® certification in restorative yoga with Judith Hanson Lasater. 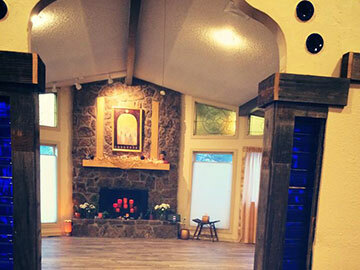 Before teaching at Root, she taught at Westside Yoga Studio. When she’s not teaching yoga, Kirsten is a freelance writer and editor. Her work has been featured in the Colorado Springs Independent, Utne Reader, Spirituality & Health Magazine and the Colorado College Bulletin. You can learn more about her, and visit her blog, at kirstenakens.com.